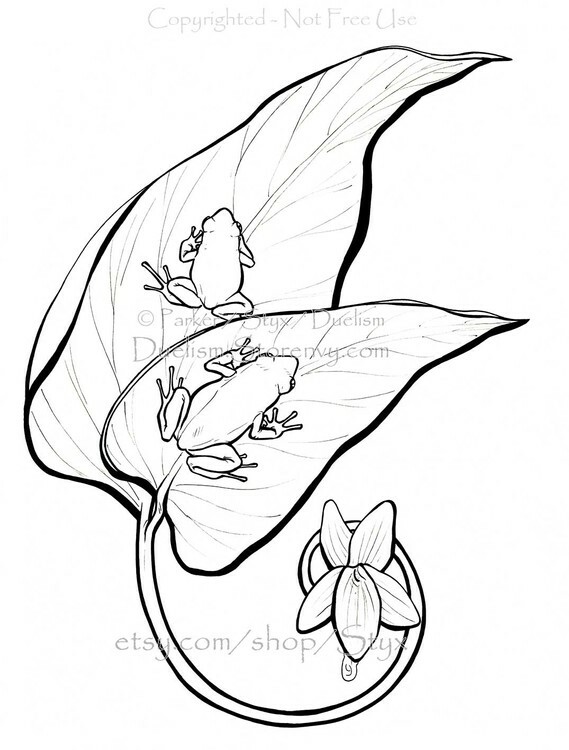 This piece features two Dendrobates auratus poison dart frogs, which were intentionally introduced to the Hawaiian island of Oahu, and was later found on Maui, with the threatened native Viola chamissoniana var. tracheliifolia, also known as ‘Olopu, a species of violet that is currently classified as At Risk. Vertical 9x12" on acid free Bristol with archival quality ink, well centered with no warping, creasing, stains, or tears. *There are a couple areas where my linework isn’t ideal which show up in the subsequent photos. One line can be fixed with gouache.